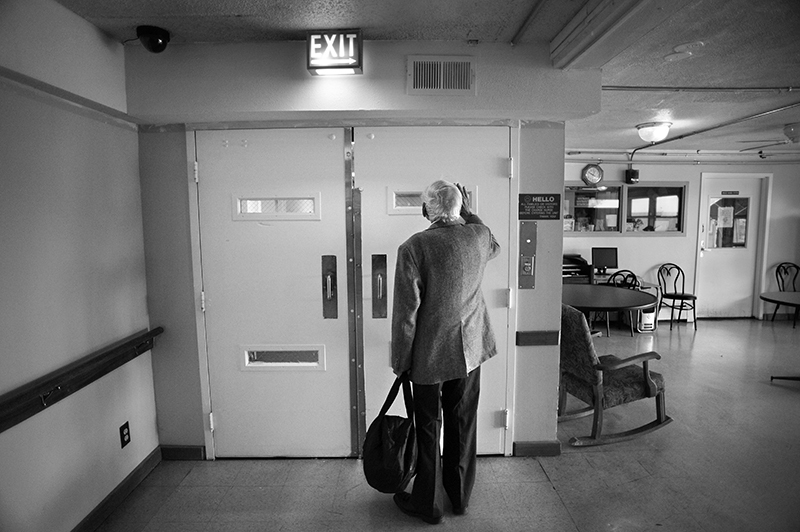 Cecil waves through the window of a secured door as he arrives for a visit with Carl at The Spearly Center. Though marriage was never an option for the couple, Cecil said he believes others should have the right. He compared being gay and gay marriage to being black during the Civil Rights movement. "It's sort of like the blacks in the south in the 60's and the sit-ins at the Five & Dime," Cecil said. "I don't think they wanted to eat there - they wanted the right to eat there, and I think that's the way so many gays feel. They aren't particularly interested in marriage, but they want the right to be married."